C-10 Sector 01, Near Tata Motors, Rohan Motors Noida - 201301, U.P. Vardha Builders Pvt Ltd is one of the most well known names in the real estate industry. Vardha Builders is extremely committed to adopting business practices which meet the needs of our valued customers without compromising future generations. Their mission is to excel in exceptional customer service and to ensure that the focus is always on fostering relationships and engendering loyalty. Vardha Builders has various commercial and residential projects spread across Delhi NCR. 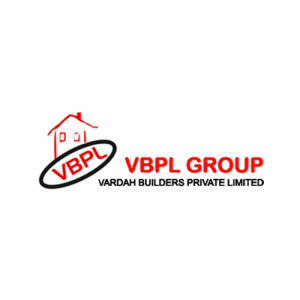 VARDAH BUILDERS PVT. LTD., previously known as VBPL Group is a successful and respected integrated real building company with an exceptional track record and an inspired vision for the future. Over the last five years, the company has envolved into one of India's leading real estate businesses with flagship operations in major residential and commercial development. VARDAH BUILDERS PVT. LTD. has built a brand synonymous with quality, integrity and innovation. Determined to excel in exceptional customer service, we focus on fostering relationships and engendering loyalty. Their most reputed project is a group housing project made by them including Annu Enclave and Jindal Enclave Phase 1. These projects are known for architectural excellence and the wide range of features and amenities they offer. They are also commended for having great location advantages. With teams of experts and years of combined experience under their belt, Vardha Builders Pvt Ltd has carved a niche for itself and is one of the most respected and trusted names in the real estate sector in India today.